Lorena ISD recognizes the important role that good nutrition plays in a child’s health as well as their academic success. We are committed to providing well-balanced breakfasts and lunches as well as nutritional information to help students learn to make healthy food choices as part of the formation of good lifelong habits. Please contact our office with any questions or concerns. *PreK Students have their own distinct menu. Click here to view PreK menus. You can pay for your child's lunch account by sending cash or checks to the school OR you can manage your child's account online and pay for meals via debit, credit, or electronic check using MySchoolBucks. Enrollment is easy! Go to MySchoolBucks and register for a free account (or download the MySchoolBucks app for iPhone, Android or Windows phones). Add your students using their school name and birthday. *PreK students receive a free lunch for the 2018-19 school year. More info. We encourage everyone to complete an application for free/reduced meals. All information and student's lunch status are kept completely confidential. There is never any overt identification at the point of sale. You can submit an application here. 1. When do I apply for free and reduced-price meals? We encourage everyone to apply at the beginning of each year, but you may apply for free and reduced-price meals at any time during the school year. Also, if you are not eligible now but your economic situation changes during the school year (such as a decrease in household income, an increase in household size, unemployment, receive food stamps or TANF), complete another form. 2. Will information on my form be kept confidential? 3. I do not have a MySchoolBucks Account. How do I purchase meals for my child? Each school’s cafeteria manager also accepts deposits of cash or checks. If paying by check, please write your student’s name and ID number in the memo section of the check. Deposits can be made before school, during breakfast or during lunch. Checks may be sent with the student or mailed to the school to the attention of the cafeteria manager. The district has a meal charging policy for balances that drop below $0.00. 4. How can I check the balance of my child’s account? You may call the cafeteria manager or visit the district’s website at MySchoolBucks.com. Click on the "Sign Up Today" link, then choose Texas and Lorena ISD. Follow the directions from there. From your MySchoolBucks account, you will be able to view balances and transaction details, post payments to your account and set up email/text notifications. The district has a meal charging policy for balances that drop below $0.00. 5. What happens to the money in my child’s account at the end of the school year, or if my child transfers to another LISD school? Funds left in an account at the end of the year will be available for that student’s use during the next school year. Transferring students can access their account at any school within the district. 6. Is there a link between good eating habits and student performance in school? Numerous studies indicate that there is a strong link between good eating habits and student performance in school. These studies indicate that the students who eat a healthy breakfast and lunch have better attendance, make fewer trips to the school nurse, score better on tests and have fewer disciplinary problems. School meals play an important part because they provide one-third of the Recommended Dietary Allowances of protein, vitamin A, vitamin C, iron, calcium, and calories while no more than 30 percent of calories come from fat and less than 10 percent from saturated fat. School meals provide students with a convenient, healthy, low-cost, nutritionally balanced meal. 7. Can my child bring food or snacks to share with friends? You can read the district policy about that here. 8. Is it possible for my child to charge a meal if he/she has no money on their meal account? You can read the district policy about meal charging here. 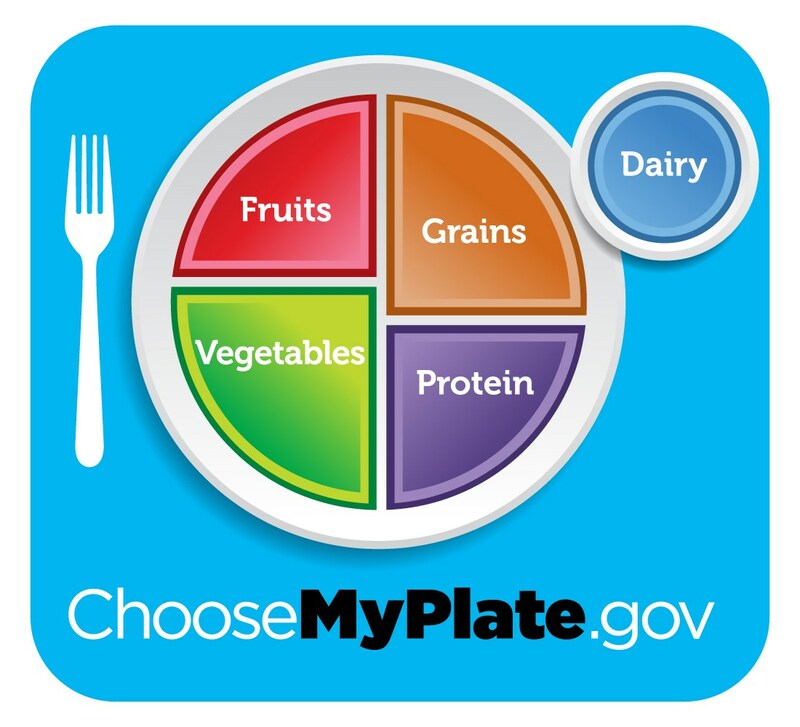 Visit ChooseMyPlate.gov for the latest info on Child Nutrition. Click here to view the latest issue of the FitFUTURE newsletter.